Verizon officials had “very productive discussions” with FirstNet during the latter part of September, but it remains unclear whether users of Verizon’s announced public-safety broadband offering will be able to interoperate seamlessly and securely with subscribers on the FirstNet system being built and operated by AT&T. 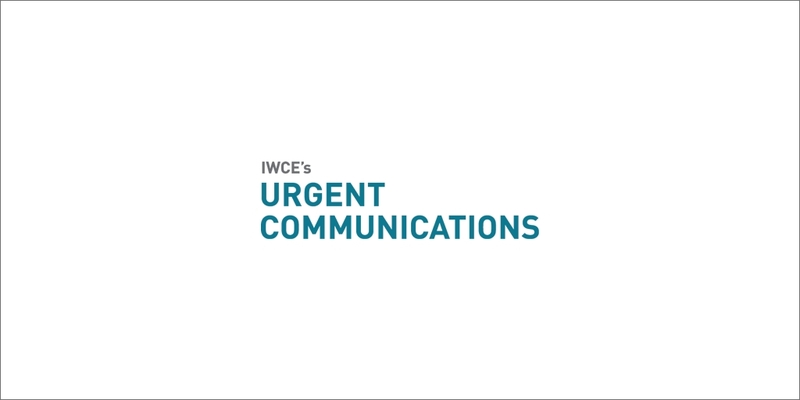 During an interview today with IWCE’s Urgent Communications, O’Malley said the Verizon-FirstNet meeting occurred “about a week-and-a-half ago” but declined to elaborate on the content of the meeting. FirstNet also declined to provide details about the nature of the discussions but acknowledged that the meeting with Verizon occurred and that future meetings with Verizon are possible. “Yes, we have a robust industry-outreach program that leads us to meet with vendors—both large and small—all the time,” according to a statement from FirstNet spokesman Ryan Oremland. In August, Verizon—the market-share leader in providing public-safety broadband today—announced plans to provide public-safety customers with prioritized and preemptive access across its network by the end of this year and to build a dedicated public-safety LTE core network in 2018. These activities are similar to AT&T’s stated plans for the FirstNet system. Many in the public-safety community have expressed enthusiasm about the prospect of FirstNet/AT&T and Verizon competing for its wireless broadband business. In fact, officials in Virginia—the first state to make an “opt-in” decision that accepts the FirstNet deployment plan—repeatedly have stated that a primary reason for the “opt-in” choice was to encourage earnest competition between providers as quickly as possible. Meanwhile, some state officials have indicated that governors needing to make “opt-in/opt-out” decisions by Dec. 28 would like to know whether Verizon will be able to offer FirstNet-comparable services within its state, as well as whether AT&T can offer FirstNet services on its non-700 MHz Band 14 spectrum. If an “opt-out” state and its contractor to build and operate the LTE radio access network (RAN) must compete with both Verizon and AT&T offering similar public-safety services, the “opt-out” alternative may be less attractive to governors. Verizon officials publicly have expressed eagerness for its new public-safety platform to interoperate with FirstNet, but it is unclear whether Verizon will be allowed to do so. If Verizon’s public-safety services are not perceived as being able to interoperate securely and efficiently with FirstNet, the Verizon offerings likely would not be valued as much by first-responder agencies. FirstNet CTO Jeff Bratcher has stated that basic interoperability between FirstNet users and commercial-carrier subscribers will be supported—calls and data exchanges can be made between subscribers of all carriers, as is the case with normal interactions in the commercial arena. But interoperability questions become an issue as sensitive public-safety information is communicated via voice, text, data, photos or video. FirstNet subscribers’ communications will be processed through the FirstNet public-safety LTE core network that AT&T—FirstNet’s nationwide contractor—expects to be operational in March. Officials for AT&T and FirstNet have stated that communications between FirstNet subscribers will have end-to-end security, but they cannot provide such assurances if information is transmitted across a commercial network other than the one operated by AT&T.